What Is A Live Photos Long Exposure? Normally, a long exposure is where you leave the shutter open long enough that the moving elements in the scene are rendered as an attractive blur. Common examples are the red streaks of tail-lights at nighttime, or the soft, misty effect achieved when moving water is captured. In the long-exposure example below, the illuminated waterfalls look soft and misty, and far more impressive than they looked in real life. There are several specialist iPhone apps which make this possible and these are highly configurable. But since iOS 11 the iPhone can simulate long exposures using the Live Photos long exposure effect. The Live Photos feature has been around since the launch of the iPhone 6s, iPhone 6s Plus and iPhone SE. It automatically captures 1 ½ seconds of video before and after you press your shutter button, so you end up with a little three-second video clip. Live Photos are like little moving memories – it even captures sound. This is especially useful if you’re not the kind of person who remembers to shoot occasional video of your friends and family. If you’re looking to share your Live Photo directly, you’ll want to convert your Live Photo to video first. But you don’t have to do this immediately. Instead, once you’ve captured a Live Photo you have the option of creating a long exposure – a single photo created by automatically layering each of the individual frames captured during the 3 seconds the Live Photo was being captured. A Live Photos long exposure looks really cool. When you shoot a waterfall with a Live Photos long exposure, the water looks soft and misty. When you shoot your kids or your grandkids with a Live Photos long exposure, you can make them look like ghosts (kids love that). A Live Photos long exposure on an iPhone doesn’t work exactly the same way it does on a standard camera. The shutter doesn’t stay open—instead, the iPhone’s camera shoots a rapid series of images (12 frames per second) and combines them into a single photo. That’s what creates that soft motion blur effect. In order capture a Live Photos long exposure, you need to have an iPhone 6 or later, and iOS 11+. If you don’t have the right iPhone and iOS, that’s okay – you can also create long exposures using an app such as OSnap or Slow Shutter Cam. To get good results with the effect, you also need to use an iPhone tripod. This stops your camera from moving while your iPhone is shooting that three-second Live Photo video. If the camera moves, then all those individual frames won’t line up when your phone combines them to make the Long Exposure image. 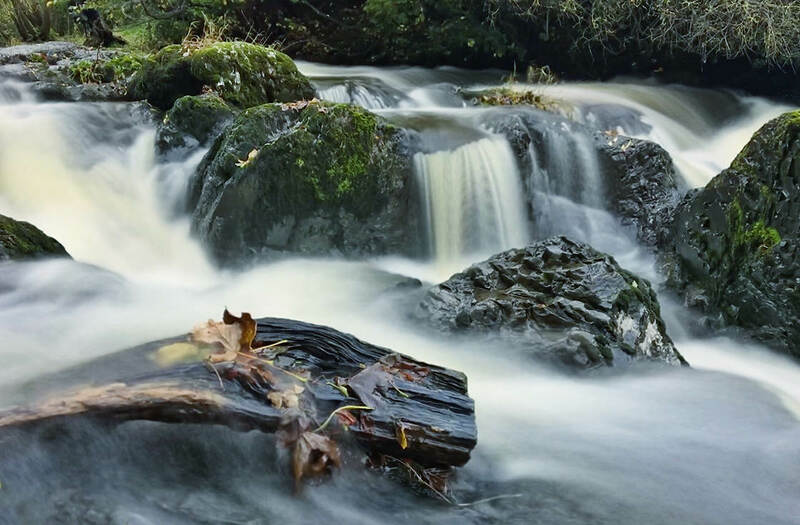 The first step in creating an iPhone Long Exposure image is shooting the Live Photo. Long exposures work best if you choose a scene that has some constant motion in it, like moving water or heavy traffic. Things that move fast, even walking speed fast, don’t work very well for the Long Exposure effect because three seconds is too long to capture much more than very faint, barely noticeable blur. To create your Live Photo, first mount your iPhone on your tripod and make sure it is secure. If you’re using a flexible tripod, wrap each leg firmly around something stable and make sure that your phone isn’t at all wobbly. Before shooting, make sure you select the Live Photo option in your camera app – it’s that little circle-in-circle icon in the center just above the image preview.  When Live Photo is off, it will be white with a line through it. When it’s on, the line disappears and the icon turns yellow. Now tap the self-timer icon just to the right of the Live Photo icon. It’s a good idea to use the timer for these shots because when you touch your shutter button with your finger, it’s going to bump your phone, and that means your phone will be moving a little bit during the Live Photo. A moving phone makes a blurry picture, and setting the timer creates a small delay so the phone has enough time to stop moving before the shutter opens. When you click the timer icon, you’ll get three options: off, 3s, and 10s. 3s (three seconds) should be enough of a delay. Next, frame your photo and shoot! Here’s where the fun starts. Go to the Photos app and open up one of your Live Photos. Swipe up, then swipe to the right under the “Effects” header. “Long Exposure” is the last option (the others are “Live,” “Loop,” and “Bounce”). Tap “Long Exposure” and watch what happens! Hopefully you’ll be really pleased with your results but if not, don’t worry. If you don’t like what you see it’s easy to undo—just go back to the Effects menu and select “Live” to revert to the original. Unless you live next door to The Tower of London, an iPhone Long Exposure is probably the closest you’ll ever get to shooting an actual ghost. Remember that your subjects need to be moving pretty slowly. In this photo, I asked my daughter to stand absolutely still whilst her young friends moved about (as young people often do). This gave a ghostly result which still included an identifiable subject: my daughter’s face. Light painting is a fun technique that your family can help you with. You need a hard point of light like a glow stick, a 4th of July sparkler, or an LED flashlight. In the image below, my son is waving a black light, which has created a fun, repeating effect. If you look carefully, you can also see his face on the right side of the image. You can do something similar with a car’s headlights and taillights. This works best if you live in a city, or somewhere where there’s plenty of traffic. As cars drive into and out of the frame, their lights will create long streaks of red and white light. Fireworks look pretty cool with this technique, too. Another effect that’s fun to try is “deliberate camera motion”. You don’t need your tripod because you’re going to be moving your iPhone on purpose during the exposure. Use a slow, up and down or side-to-side motion (avoid jiggling or shaking). Choose vertical objects like trees for up and down motion and horizontal objects like a coastline for vertical motion.